Fire Safety is a vital issue for all work places and home situations too. You can sometimes stop a fire once it starts but using the wrong fire extinguisher can make matters worse. Our experienced trainers will give you the most up to date fire instruction, with live demonstrations if the location permits. We offer fire extinguisher training which is designed to suit the needs of different businesses. Our Fire Safety training can be delivered at your place of work, or at an agreed venue, for all of your staff, and since many companies operate out of 'normal' working hours, we can work around your shift patterns so that all your staff can be confident about what to do in the event of a fire. Safety training and the proper use of fire extinguishers is in everyone's interest. Practical knowledge may not always be necessary but basic fire safety priorities always are. Our fire extinguisher training Sussex courses last around two hours long, and we design them around your company's fire safety policies so that all the essentials are covered. Our experienced fire extinguisher training expert will come to your premises and train your staff thoroughly so that they can deal with all the likely fire hazards in your building. These are Certificated courses to enable you to meet your health and safety standards. A fire safety check of your premises. 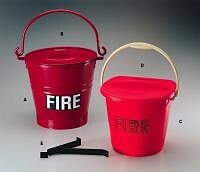 Domiciliary Care Staff can also have their own fire training. So if you require fire extinguisher training Sussex areas, please give ETC Fire a call. Our friendly staff are available to help.